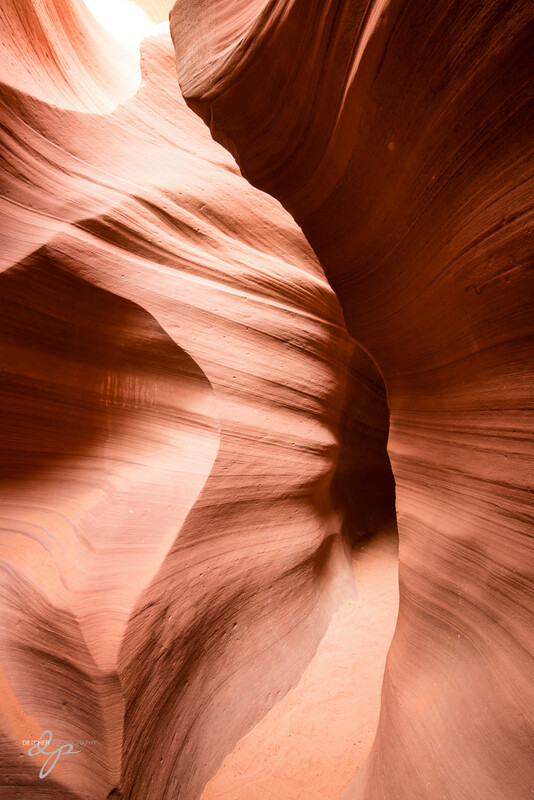 Page, Arizona, that is. My adventures in Arizona continued from Flagstaff and the Grand Canyon further north to the Lake Powell area at the border of Utah and Arizona. My goodness, it was a stunning drive two hours north from Flagstaff that I simply wasn’t expecting. The “painted desert” view is unimaginable. 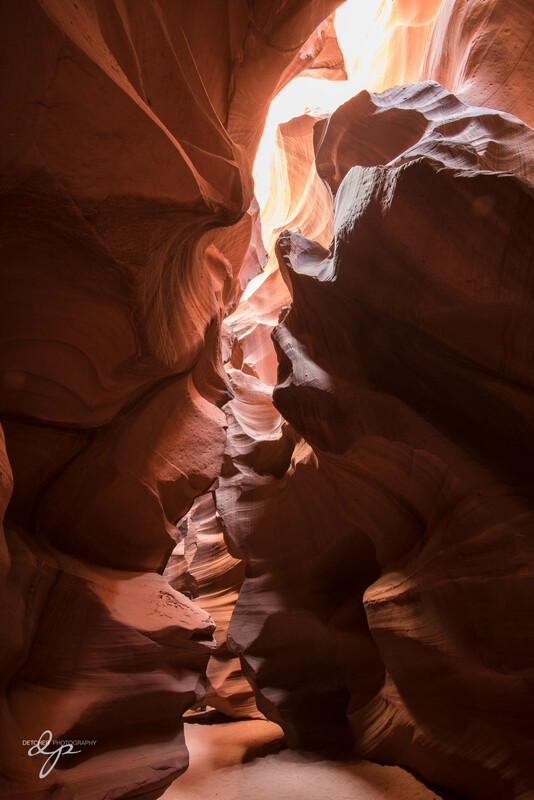 The canyons that appear out of no where and create dimension and depth to the landscape you’d never even imagine could be created are stunning. 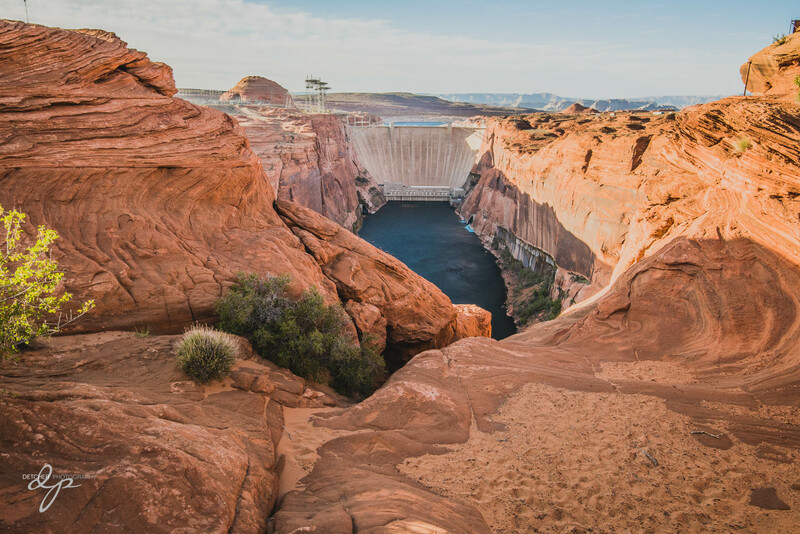 I had read about the town just south of Lake Powell, Page, that provided beautiful views of the Colorado River, the Glen Canyon Dam, Lake Powell and the infamous slot canyons of Upper and Lower Antelope Canyons. 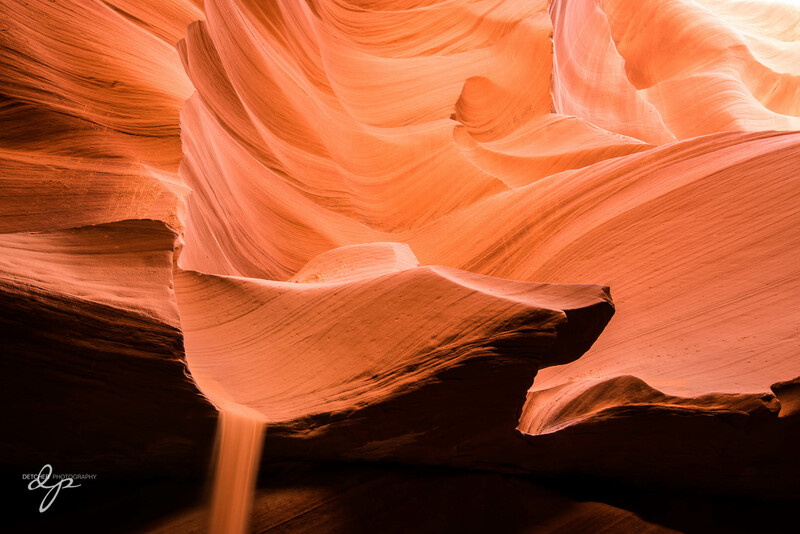 Peter Lik just sold the most expensive photograph anyone has ever purchased and it was taken at Upper Antelope Canyon. 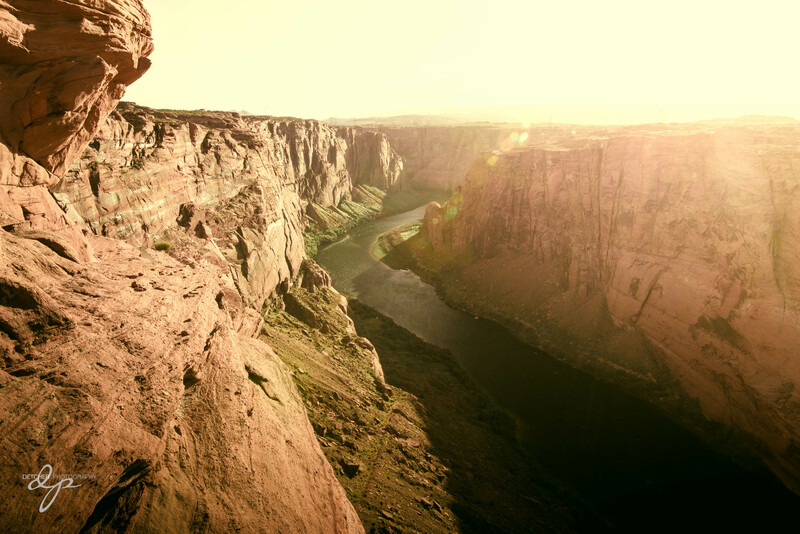 Of course… there’s Horseshoe Bend too. 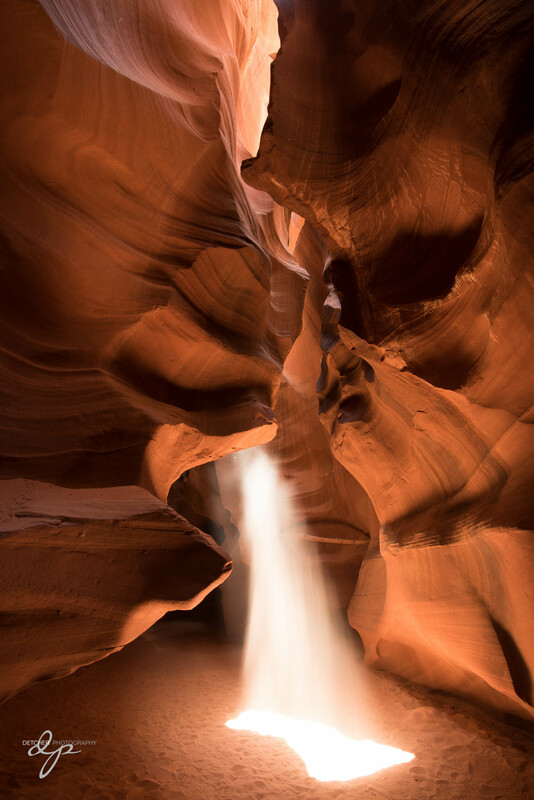 My time in Page started with a Monday afternoon tour of Lower Antelope canyon with a guide and a few other photographers. 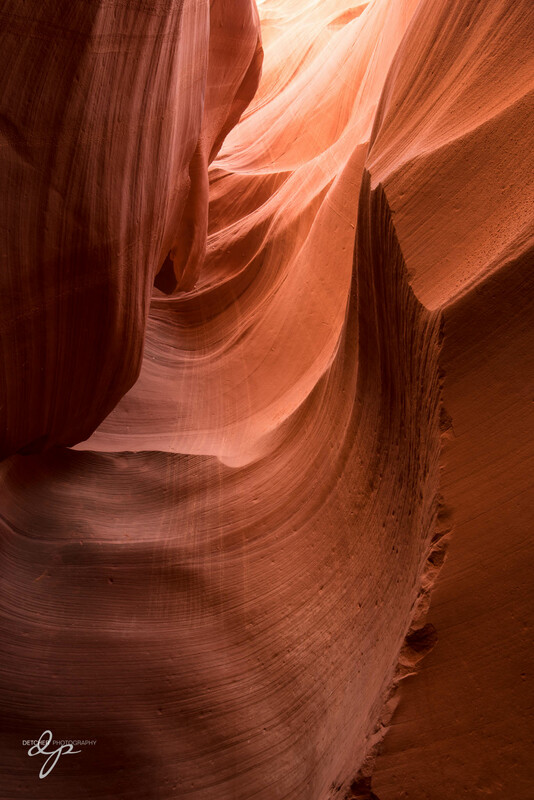 Lower Antelope Canyon is called exactly that because it’s below ground. We carefully walked down five sets of steep stairs deep into the ground. 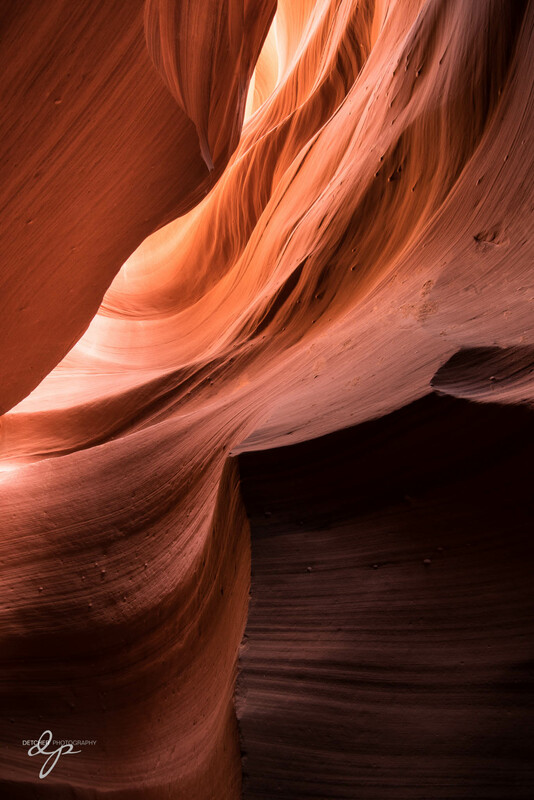 It was discovered by the local Navajo Native Americans and the guide was a descendent of the woman that discovered Lower Antelope. 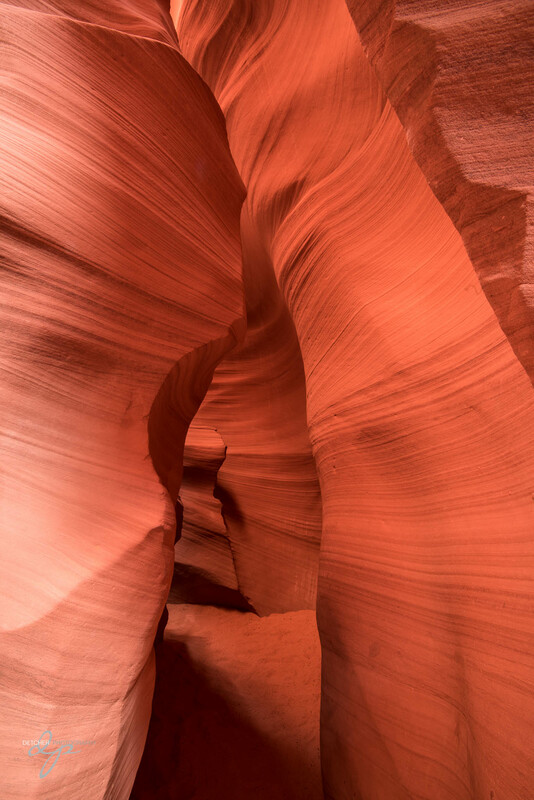 The antelope portion of the name came because antelopes used to stroll along that area. 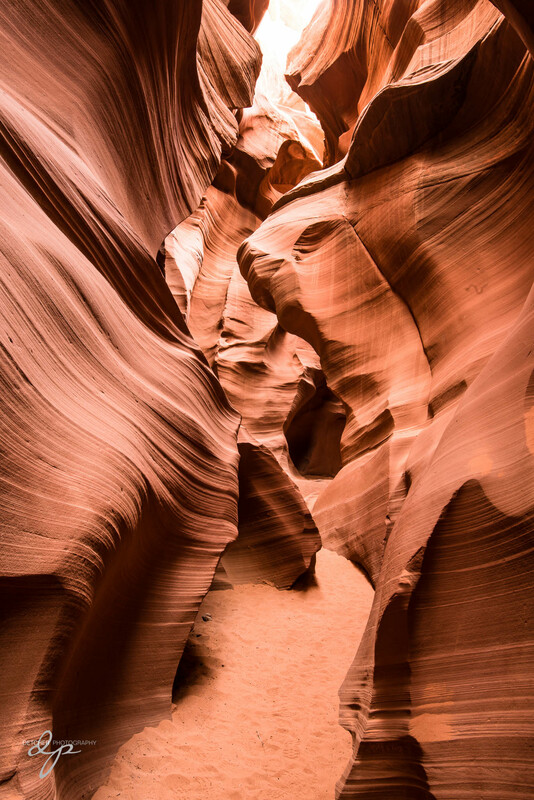 Less people visit the lower canyon because it is a bit more difficult to navigate, but still worth every minute. 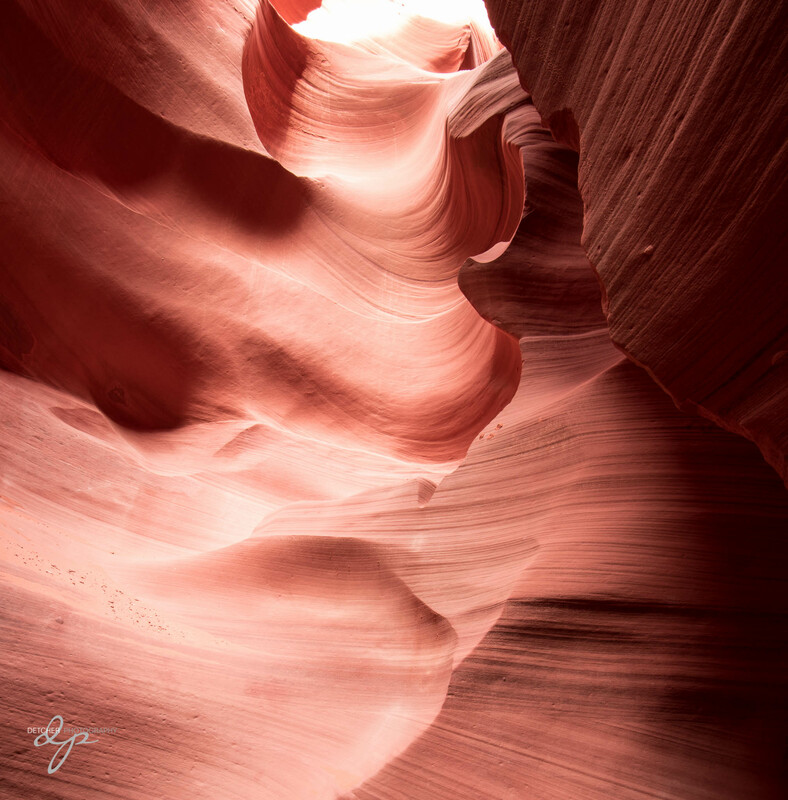 The light peaking through created gorgeous colors in the canyon walls. We gradually walked up at at an angle and at the end of the canyon didn’t use stairs to exit, but rather just crawled out of the ground as you can see below. 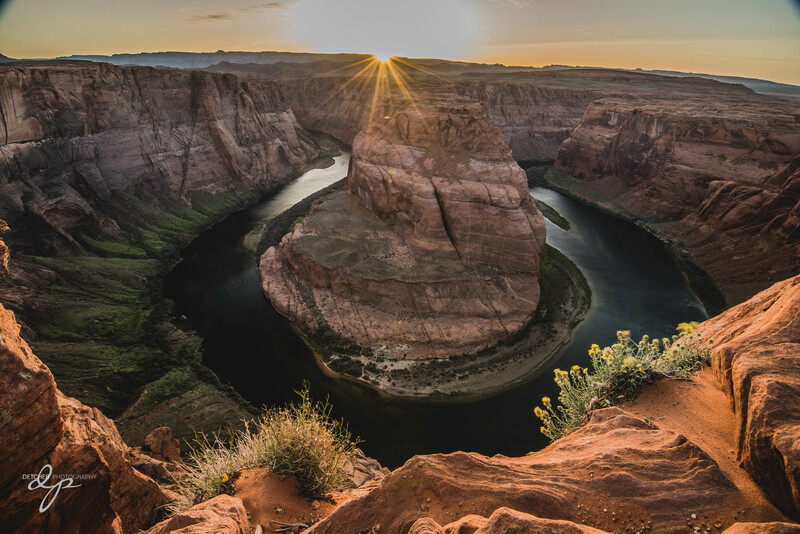 After leaving Lower Antelope Canyon, I found my way to Horseshoe Bend for sunset, which is an area of cliffs along the Colorado River where it looks just like a horseshoe. It’s been photographed many times and I couldn’t help but go there for sunset to get my own unique perspective of it. I was a bit frustrated that there weren’t any clouds in the sky to create a dramatic sunset, but I understand, we can’t have it all. 🙂 I underestimated the drop and how dangerous it was to photograph there though! 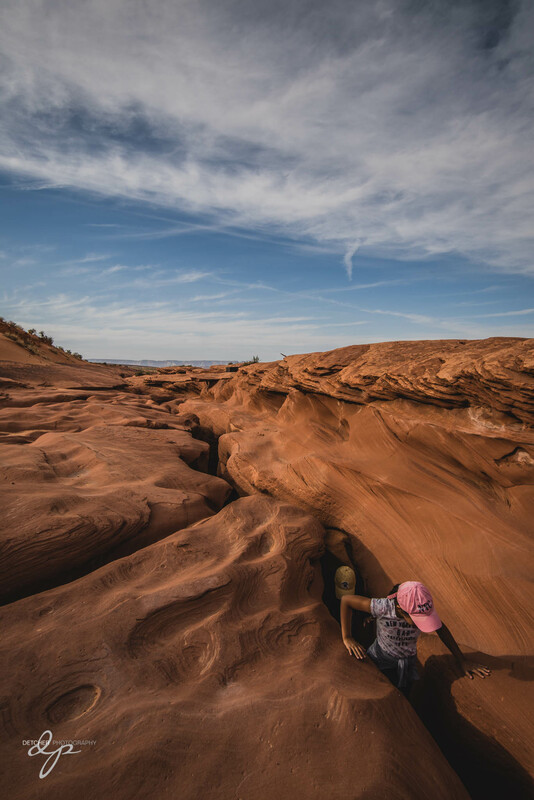 In order to capture the entire horseshoe, one must hike out a bit and then crawl right up to the edge of the cliff with a 1000 ft drop in front of you on uneven terrain. That night there happened to be 20-30 mph winds too. FUN! 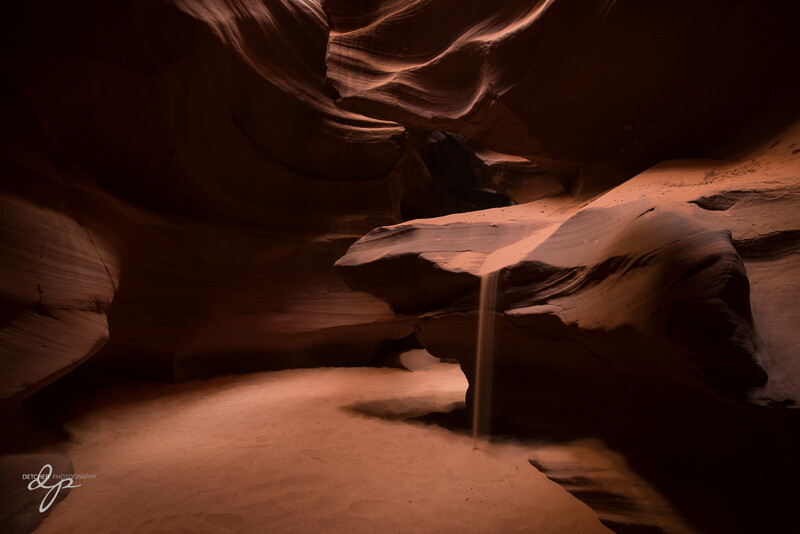 After a great night of sleep with more amazing Mexican food in my belly, I awoke to make my way to Upper Antelope Canyon on Tuesday. 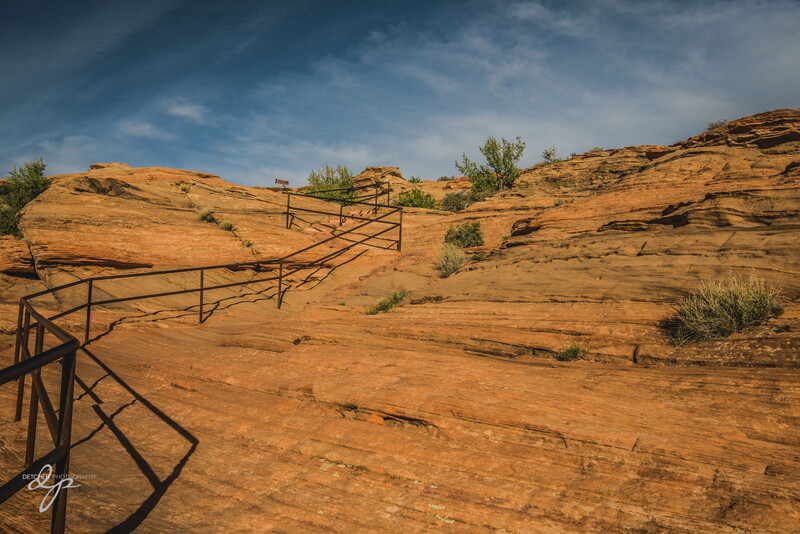 Upper is called exactly that because you walk into it at ground level, rather than walking down several flights of stairs. 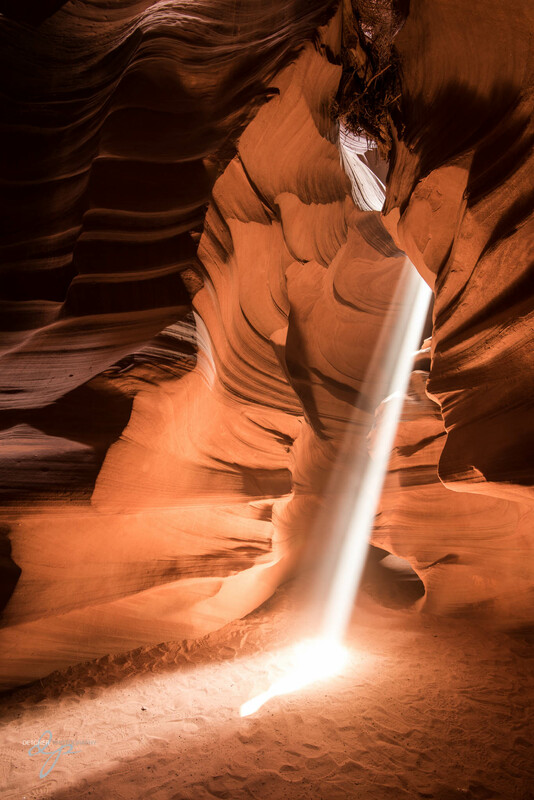 This canyon is known for the beams of light coming in, so it’s important to take a tour that will have you there at noon given that’s the only time you’ll see the beams. It was absolutely spectacular. Crazy busy inside with the guides helping to keep people out of the way for our long exposures (yes, I tipped mine well!!! ), but well worth it. 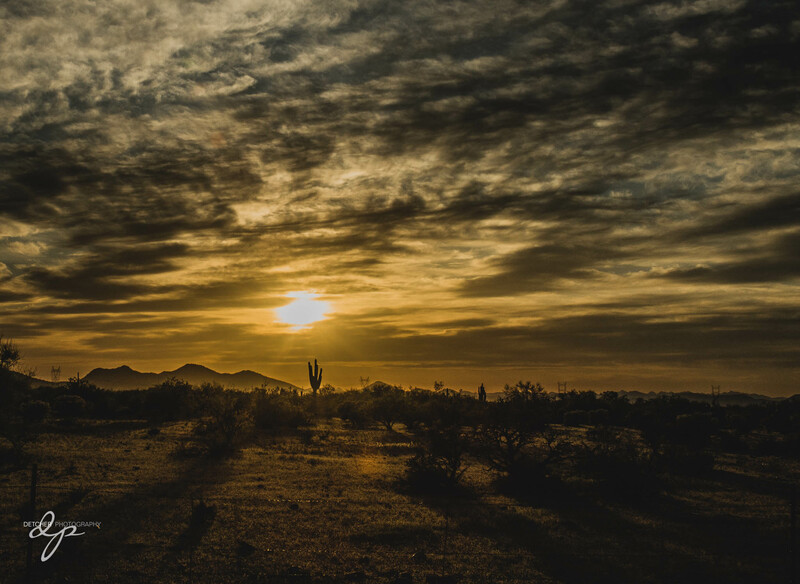 I timed my drive back to Phoenix to arrive just in time for sunset. 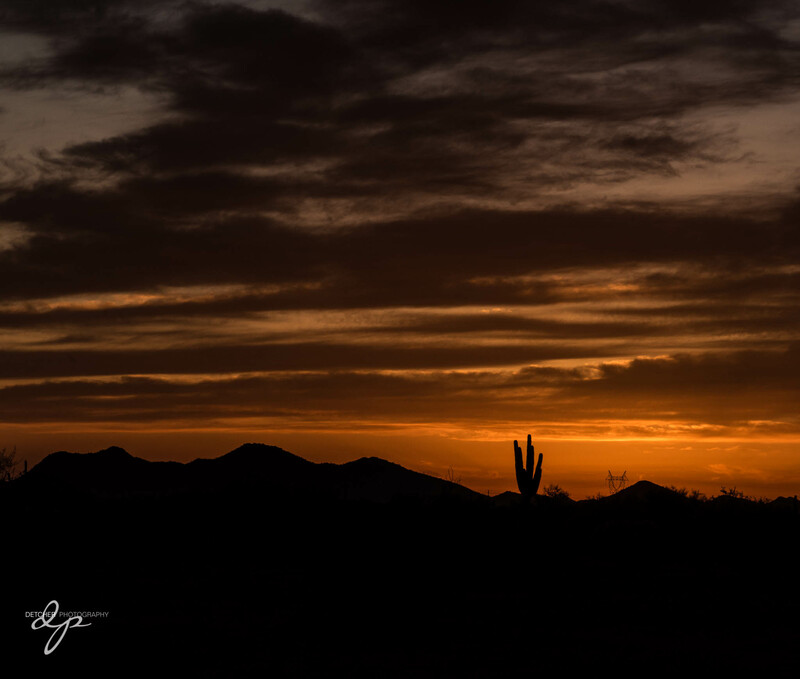 I made a few stops along the way and then found a spot north of Phoenix before heading to my hotel that had a lovely mountain view with a few cacti. I spent a week in Arizona from Sedona to Flagstaff / Grand Canyon to Page to Phoenix. I must say, I was impressed. 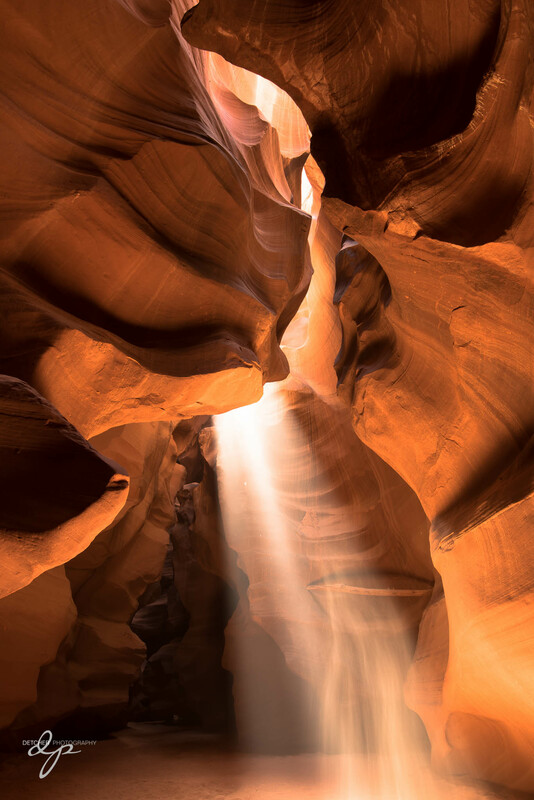 This entry was posted in Photography and tagged Airzona, Antelope Canyon, beams of sunlight, cactus, Colorado River, Glen Canyon Dam, Horseshoe Bend, Loke Powell, long exposure, Lower Antelope Canyon, nature, Page, Phoenix, slot canyons, sunset, Upper Antelope Canyon. Bookmark the permalink. Thank you Nancy – quite an adventure! Absolutely beautiful you captured it! Thank you Denise! It was definitely a bucket list photography adventure!